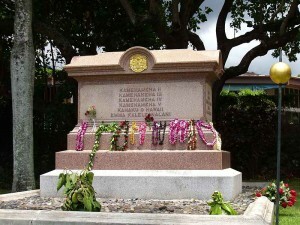 Located at 2261 Nuuanu Avenue in Honolulu, Oahu, the Royal Mausoleum of Hawaii is the final resting place of the island's two prominent royal families: the Kamehameha Dynasty and the Kalākaua Dynasty. 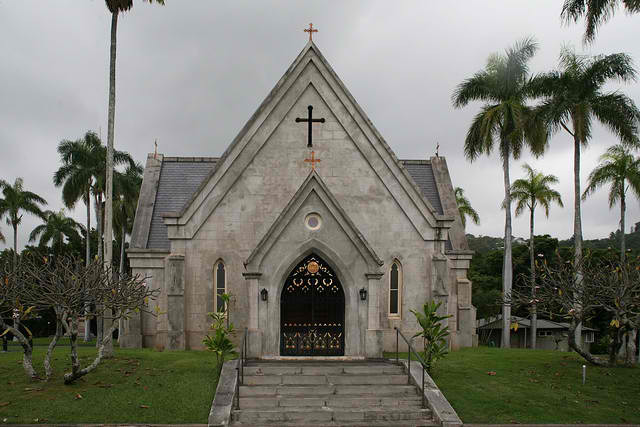 Also called Mauna Ala (or "Fragrant Hills" in the Hawaiian language), the mausoleum features expansive grassy lawns, towering palm trees, a chapel in the shape of a Latin cross and the tombs of the monarchs. The 2.7-acre site was designed by architect Theodore Heuck. 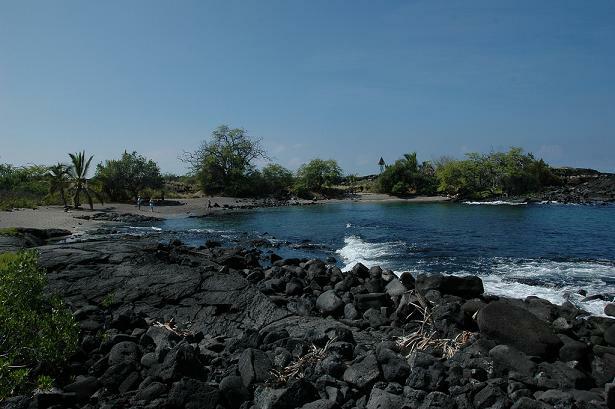 It was first intended to be the burial place of King Kamehameha IV and Queen Emma's four-year old son, Prince Albert, who died in 1862. Just 15 months after the prince's death, his father became ill and followed suit. 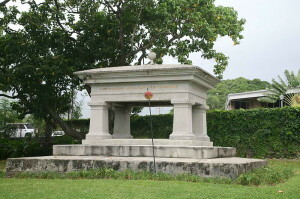 Lot Kamehameha, the king's brother, became King Kamehameha V and ordered the immediate construction of the mausoleum building. 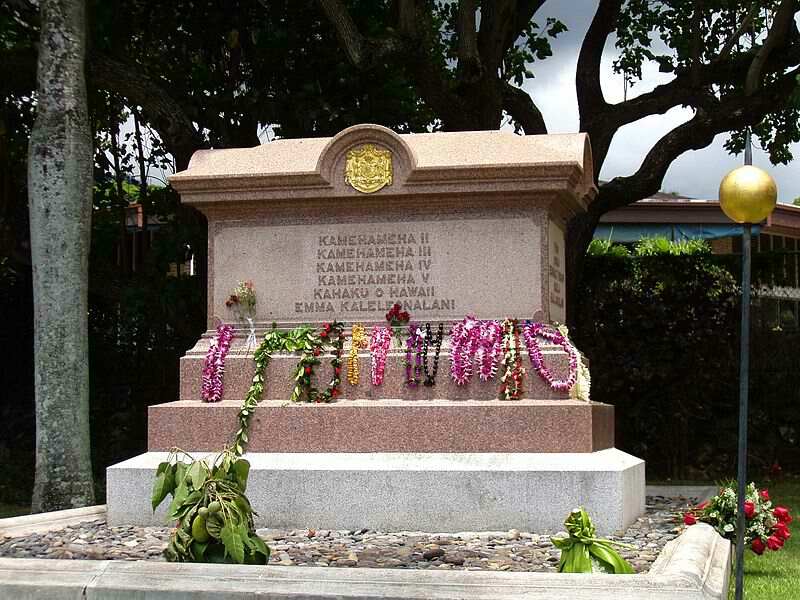 After two months, King Kamehameha IV was laid to rest inside the mausoleum building alongside his young son. The remains of other past monarchs of the Kingdom of Hawaii and their families were eventually transferred to the Royal Mausoleum in Oahu. 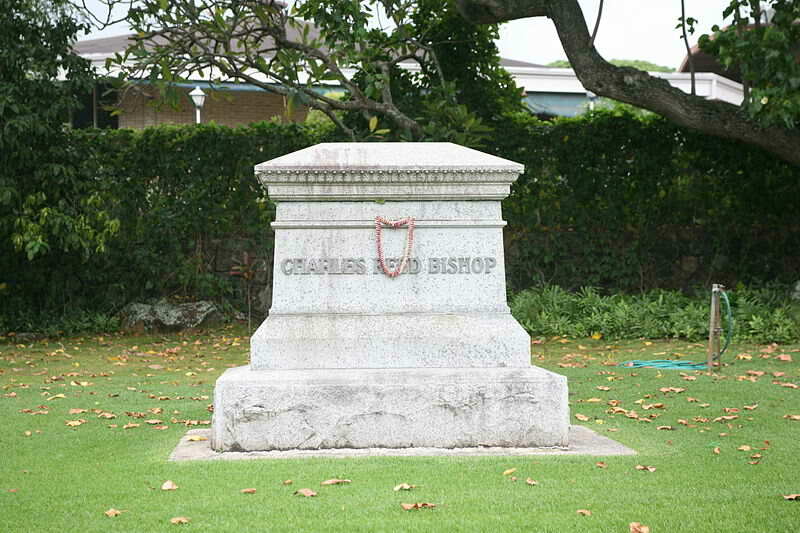 Only the remains of two Hawaiian monarchs, namely Kamehameha I and William Charles Lunalilo, were not interred at the mausoleum. 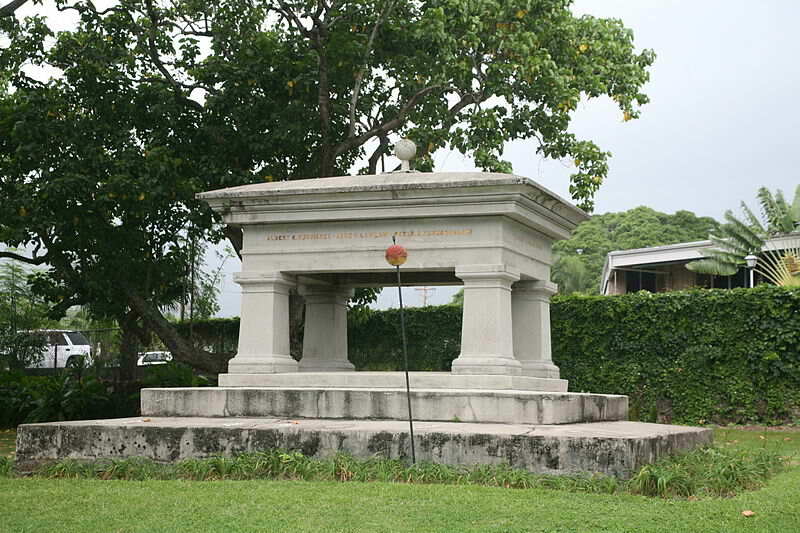 William Charles Lunalilo was buried in a church cemetery in the courtyard of Kawaiahao Church while Kamehameha I's remains were hidden (a traditional practice to preserve the mana of the ali‘i). 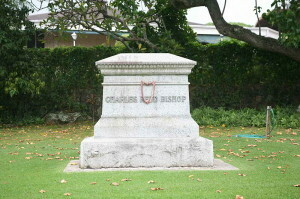 Princess Nāhienaena and Queen Keōpūolani are buried on Maui at Waiola Church. The chapel, which is one of the few examples of Gothic Revival architecture in the islands, used to be the main mausoleum building where royal remains were interred. 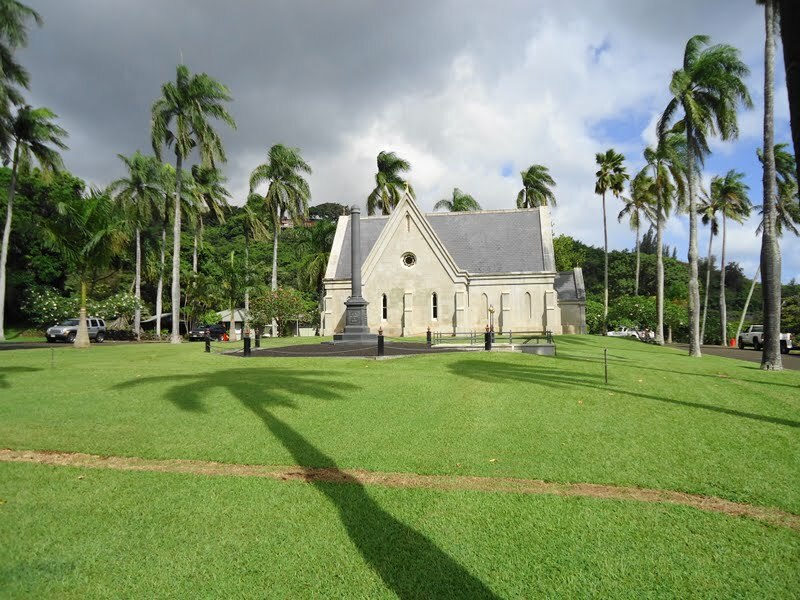 It was converted into a chapel in 1922, and the royal remains were moved to tombs constructed on the grounds. 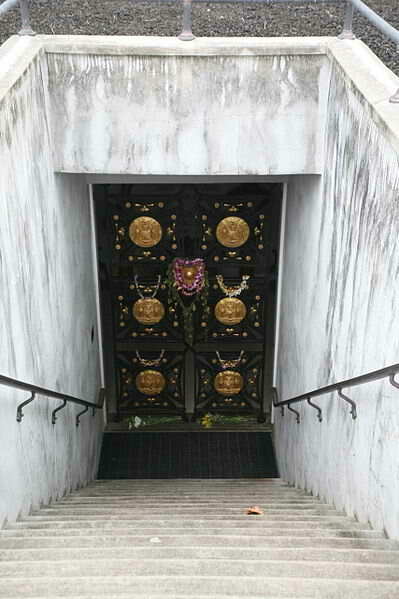 The grounds of the mausoleum are surrounded by a black fence with golden accents and the royal seal of the Kingdom of Hawaii at the entrance gate. The site was removed from the public lands of the United States by a joint resolution of Congress in 1900. It is one of the only three places in Hawaii where the flag of Hawaii can officially fly alone without the American flag (the other two places are Iolani Palace and the Puukoholā Heiau). In August 7, 1972, the mausoleum was added to the National Register of Historic Places. 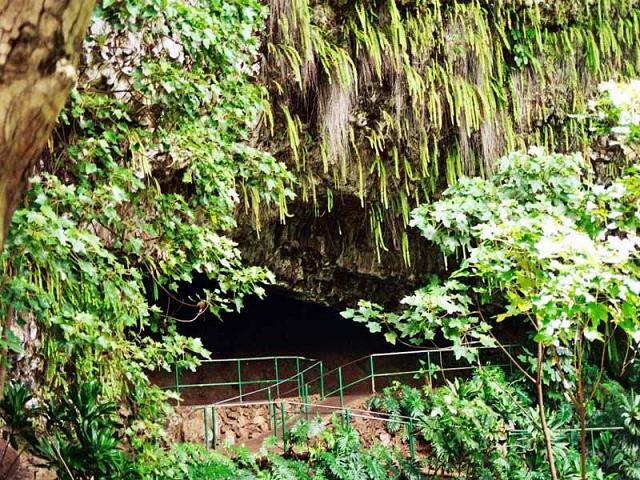 Many Hawaiians visit the Royal Mausoleum to pay respects to the island's fallen monarchs. It is open every day from 8 a.m. to 4 p.m. except weekends and holidays. Being a sacred place, picnicking is not allowed at the Royal Mausoleum grounds.